Sometimes choosing between two different dental treatments can be hard. It is a hard choice indeed because we want to look good. We want to have the best smile we can have and of course save the most money we can in the process. If there is a perfect solution available for a good price it would be dumb not to take it. One problem some patient have is deciding between dental bridges or a dental implant. And it is understandable because the price is so different. And the same can be said about the final results. What about the comfort? Today I am going to make a comparison between the two for y ou to see what can be the perfect solution for you. Take in mind that before going for each treatment an evaluation is a must at first to discuss those treatments with your dentist. Let’s start by defining both procedures for the people who may not know. 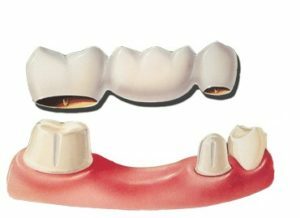 Dental bridges uses cap or crowns in the adjacent teeth of a missing tooth (or teeth) to fill that gap with other teeth linked to those crowns. Thus, the name bridge. Dental implant on the other hand, uses an implant made of titanium to serve as a root for a crown, bridges or even a full denture. You can already see where the different is. Of course one option is more expensive than the other. 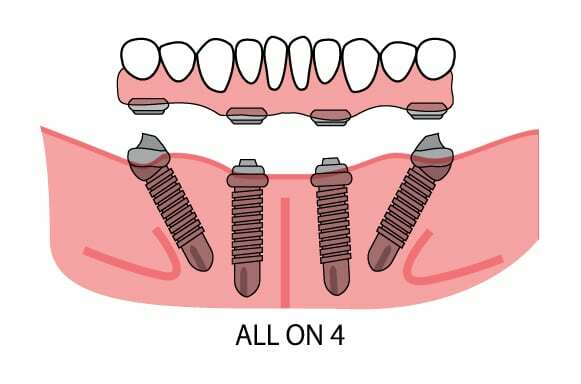 And that would be the dental implants, but the price makes up for versatility and comfort. Dental implants can help a patient replace a whole denture. Besides it makes it easier for the patient to continue a normal dental hygiene routine. Dental bridges can create certain discomfort because the patient has to clean it below the gum line to avoid diseases there. Both treatments are really durable, but dental implants have the upper hand. With good caring dental bridges can last up to 20 years before replacing them. Dental Implants can last a lifetime, making it the perfect permanent solution for tooth loss. But as I said before it is not a treatment for everybody mostly due to the cost. Also, a good bone structure is necessary. In case the patient does not have enough bone, then a bonegraft is performed. This add an extra cost to the treatment. In terms of aesthetic is entirely subjective. Whatever the patient and the dentist feel looks better. Here the world is your oyster, you can rock either one. Some patient feels that implants can look more natural, and others will pick bridges any day. This is matter of preference and if you have enough money I suggest dental implant. One thing helps both to look better is to choose full porcelain or zirconia crowns for that pearly white look. I know prices in the US can get too expensive for both treatments. But, What if I tell you that you can get them here at Dental Solutions in Los Algodones for half a price? That is right, you can save more than 50% in dental treatment here! Waste no more time and contact us to make an appointment as soon as possible to get the perfect smile you always wanted!